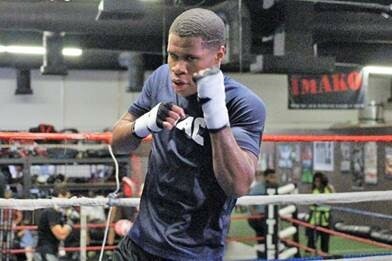 Devin Haney has been called “a young Floyd Mayweather.” and “the future of boxing.” The 19-year-old faces veteran Juan Carlos Burgos in the ShoBox main event at the Pechanga Summit Friday, Sept. 28. 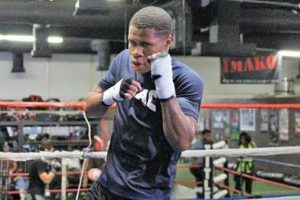 LAS VEGAS (Aug. 31, 2018) — Top undefeated lightweight prospect Devin Haney and his father, manager and trainer Bill Haney Sr. met with members of the Las Vegas media on Thursday as Haney continues preparations for his Friday, Sept. 28 showdown against three-time world title challenger Juan Carlos Burgos on ShoBox: The New Generation. 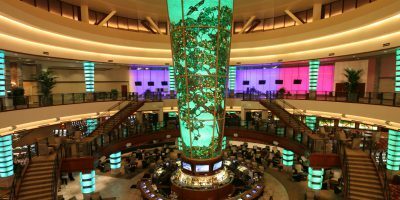 The 10-round main event headlines a tripleheader live on SHOWTIME (10 p.m. ET/PT) from Pechanga Resort Casino in Temecula, Calif. The 19-year-old Haney (19-0, 13 KOs) returns for his second consecutive challenge of 2018 on ShoBox. His opponent Burgos (33-2-2, 21 KOs) is a veteran of 37 fights whose only defeats have come in world championship bouts. Here is what the Haneys had to say from the City Athletic Boxing Gym in Las Vegas.